On Saturday, December 3, Morrison Hotel Gallery and EAST, Miami hosted Parental Advisory: Explicit Images – A Hip-Hop Event and Photography Exhibit. The private event was co-hosted by Timothy White and Darryl “DMC” McDaniels and included a special exhibit featuring images of hip hop legends, photographed by Timothy White, Danny Clinch, Janette Beckman and Clay Patrick McBride. 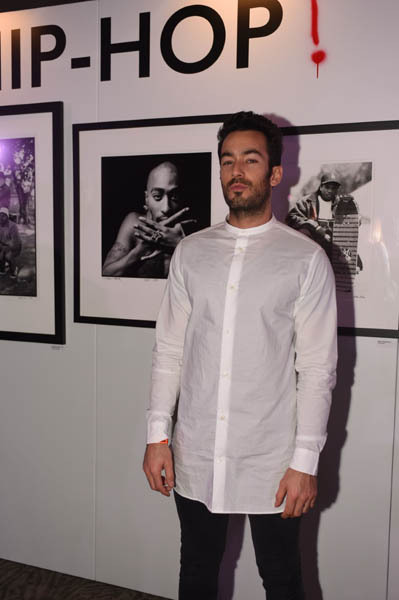 Mexican Actor Aaron Diaz attended the party and was seen checking out the classic and iconic images of hip-hop’s biggest names. 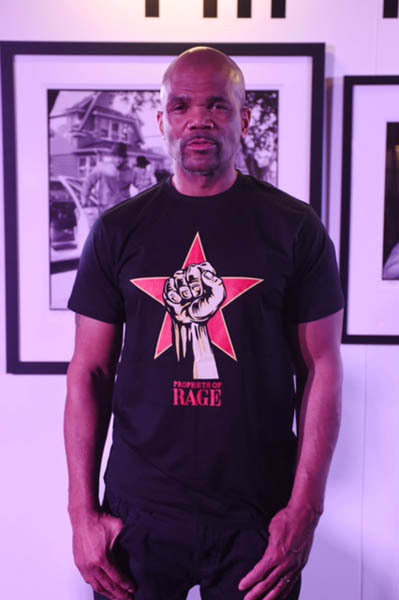 Rapper and previous Run-DMC member Darryl “DMC” McDaniels surprised guests with a special and high energy performance featuring some of his original classics. Guests all sang along and McDaniels jumped off the stage into the crowd to interact with fans as they took photos. The same night, Cecile Winckler & Sophie Tabet of UNEMPLOYED Magazine teamed up with EAST, Miami, The Webster, Blakes London and Forecast to celebrate the launch of UNEMPLOYED Magazine’s third issue. 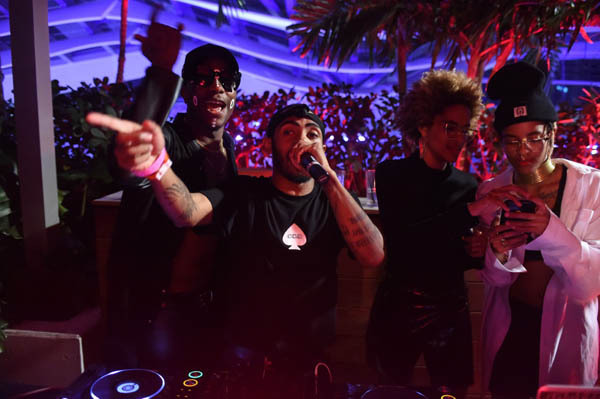 Located at EAST, Miami’s signature restaurant Quinto La Huella, the private event featured a live performance by Jay Z’s newest signed Roc Nation artist, Young Paris, with vibes provided by Coco & Breezy. EAST, Miami is Swire Hotels’ first venture into North America, following the openings of EAST in Hong Kong and Beijing. Centrally located within a 15 minute drive from the Miami International Airport, EAST, Miami is situated on top of Brickell City Centre, conveniently connected to popular districts such as Wynwood, the Design District, and South Beach. With a vibrant restaurant scene, sleek and thoughtful guestrooms, and a variety of retail shops, you’ll feel totally at EAST the moment you step through our doors. EAST, Miami is designed by celebrated Miami-based architects, Arquitectonica, with interiors created by New York’s Clodagh Design and signature restaurants, Quinto La Huella and rooftop bar Sugar, designed by Los Angeles-based Studio Collective. Signature restaurant, Quinto La Huella, was designed to translate the spirit and essence of Parador La Huella, in Jose Ignacio, Uruguay, through the style, flavor, energy, people, soul, and ambiance. With an authenticity unique to its own, the atmosphere conveys an urban oasis in a concrete jungle with a fresh spirit that welcomes guests to feel at home. Enjoy a casual indoor bar and lounge experience or escape outside to a charming terrace, which frames city views. Sugar’s lushly landscaped rooftop garden evokes a serene feeling one would find in an Asian-inspired modern temple setting. Overlooking the downtown Miami skyline and surrounding waterways below. Guests are invited to watch day turn into night as they lounge, entertain, relax, and enjoy the 270-degree view of the city.